When you suffer brain damage on the jobsite, you might be able to recover more money than what workers comp offers. Find out by discussing your case with a Boise construction accident brain injury lawyer. Were you hurt while working on a construction site? If you suffered a head injury on the job, it is likely that you are still suffering some of the side effects. Brain injuries can take years to recover from, and in some cases, the brain damage is so severe that recovery simply isn’t possible. 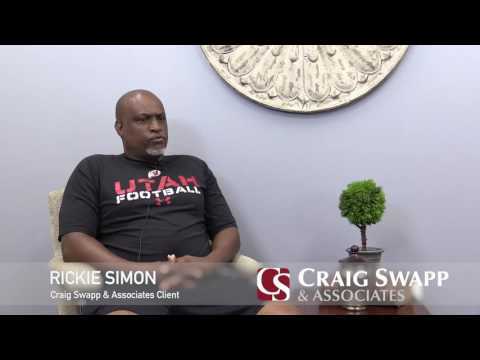 This makes it wise to hire a Boise construction accident brain injury lawyer from Craig Swapp & Associates to represent you and make sure that all of your legal options are being utilized. Typically, workers compensation will pay for most medical bills, but victims are often denied treatments that are less common or considered “elective.” Even worse, you don’t get a full paycheck, as workers comp only covers a percentage of your lost income. Workers compensation is basically a stop-gap to ensure that you do not go under financially while recovering from your brain injury. The problem is that when you are only making a portion of what you did before, you may have difficulties keeping up with the mortgage, credit card bills, insurance payments, and so on. Few families can sustain a massive drop in income, making this a very stressful time. While you still need to file a workers compensation claim, you may also qualify to file a personal injury lawsuit and seek additional compensation for a concussion or other traumatic brain injury (TBI). What Caused Your Head Injury? To determine if you can file a lawsuit, speak with a Boise construction accident brain injury lawyer in our office about what caused your brain injury. We need to know the exact circumstances leading up to your accident to determine if there are grounds for a lawsuit. Equipment Manufacturers – If you fell or were injured because a piece of equipment you were using failed, the manufacturer of that equipment could be responsible. This could include safety gear like harnesses and helmets, a ladder, or the actual machinery you were operating. Non-Employees – When other people are on the jobsite, additional risks are created. If one of them was behaving in a negligent manner and caused your head injury, you could sue them. Drivers – If a driver hit you while passing through the work zone, you could file a personal injury lawsuit against them and seek damages for your head injury. It is also possible to sue your employer if we can prove that they purposefully put you in a harmful situation. This can be challenging to prove, so we may need to conduct depositions to ask them questions about prior behavior, OSHA policies, and written warnings. If we can prove that they knew you could be harmed by performing your duties and put you in that situation anyway, they could be found negligent. If you file a lawsuit, you will still receive workers compensation benefits while your case is ongoing. This will help to pay for your medical bills and some of your lost wages. Through your lawsuit, you could recover damages to pay for your remaining lost income, including future lost wages. You can receive economic damages to recover any financial losses or to pay for bills you accrued due to your injuries. Additionally, you can also receive non-economic damages as compensation for pain and suffering and other harm done to your quality of life. You only have a limited amount of time to file a lawsuit before running into the statute of limitations. Protect your legal rights and financial future by calling 1-800-404-9000 and scheduling a free appointment with Craig Swapp & Associates. You can also reach us by using the form below.